The fastest growing color brand in the nation ushers in another innovation to give long-lasting, intense hair color that does not transfer onto other strands or into other colors! ChromaSilk VIVIDS Locked-In is just as vibrant and durable as all the best-selling ChromaSilk VIVIDS Collection colors. However, Locked-In colors do not transfer, run or move from where they are applied – they are Locked-In. Other ChromaSilk VIVIDS colors including NEONS and PASTELS can be blended to create a graduated fusion of colors along a hair strand. 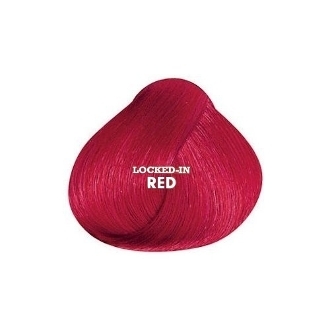 Locked-In Colors stay put and allow for total control of color precision and placement that lasts. Stretch beyond the realm of your imagination - create stripes, draw patterns or apply vibrant colors next to even the lightest blonde hair with no fear of transfer.